Bright mango flowers on green and red, semi-succulent foliage with a dense, mat-forming habit. Flowering throughout spring and summer. 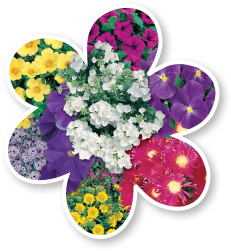 Great for gardens, hanging baskets, containers, rockeries and as a groundcover.